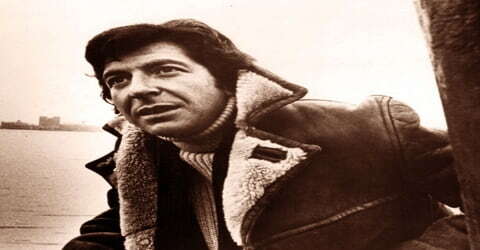 Leonard Cohen – Canadian singer-songwriter, poet and novelist. 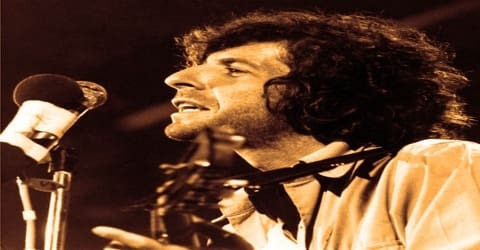 Leonard Cohen, Canadian singer-songwriter whose spare songs carried an existential bite and established him as one of the most distinctive voices of 1970s pop music, was born on September 21, 1934, into a middle-class Canadian Jewish family residing in Westmount, Quebec, an English-speaking suburb of Montreal. His work explored religion, politics, isolation, sexuality and romantic relationships. Cohen was inducted into the Canadian Music Hall of Fame, the Canadian Songwriters Hall of Fame, and the Rock and Roll Hall of Fame. He was invested as a Companion of the Order of Canada, the nation’s highest civilian honor. Beginning his career as a poet and novelist, Cohen eventually ventured into music when he was in his thirties. Interested in poetry from his school days, he started composing poems as a young boy. He also learned guitar and had an affinity for folk music. His interest in music and guitar was further enhanced when he met a flamenco guitarist. Simultaneously, he pursued his literary works and penned many poems and even got them published in magazines. Soon he published a collection of poems entitled ‘The Spice-Box of Earth’ which got him recognized in the literary world. He then explored his creativity in writing fictional stories and eventually wrote novels which received appreciation from critics and readers alike. This writer then embarked on a new journey and dabbled with his musical creativity and emerged as a singer and songwriter. 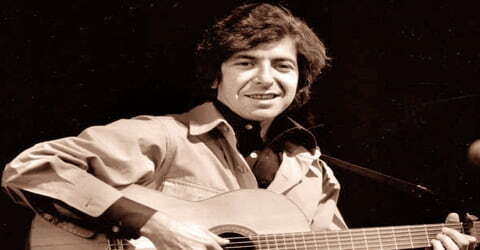 His first album, Songs of Leonard Cohen (1967), was followed by three more albums of folk music: Songs from a Room (1969), Songs of Love and Hate (1971) and New Skin for the Old Ceremony (1974). His 1977 record Death of a Ladies’ Man was co-written and produced by Phil Spector, which was a move away from Cohen’s previous minimalist sound. In 1979, Cohen returned with the more traditional Recent Songs, which blended his acoustic style with jazz and Oriental and Mediterranean influences. Perhaps Cohen’s most famous song, “Hallelujah” was first released on his studio album Various Positions in 1984. I’m Your Man in 1988 marked Cohen’s turn to synthesized productions and remains his most popular album. In 1992, Cohen released its follow-up, The Future, which had dark lyrics and references to political and social unrest. Cohen worked on various themes like relationships, sexuality, politics and religion and composed songs which turned out brilliantly and also established Cohen’s place in the musical world. However, this versatile individual did not forgo his literary work and concurrently worked on literature and music, earning fame in all the fields he embarked on. He returned to music in 2001 with the release of Ten New Songs, which was a major hit in Canada and Europe. His eleventh album, Dear Heather, followed in 2004. 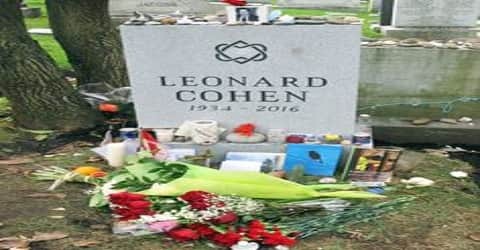 Following a successful string of tours between 2008 and 2013, Cohen released three albums in the final four years of his life: Old Ideas (2012), Popular Problems (2014) and You Want It Darker (2016), the last of which was released three weeks before his death. Leonard Cohen, in full Leonard Norman Cohen, was born to Nathan Cohen and Marsha Klonitsky on 21st September 1934, in Westmount, Quebec. The family observed Orthodox Judaism and belonged to Congregation Shaar Hashomayim, to which Cohen retained connections all his life. On the topic of being a Kohen, Cohen told Richard Goldstein in 1967, “I had a very Messianic childhood. I was told I was a descendant of Aaron, the high priest.” He lost his father at the age of nine. She was Russian and sang songs around the house. And I know that those changes, those melodies, touched me very much. She would sing with us when I took my guitar to a restaurant with some friends; my mother would come, and we’d often sing all night. Cohen got trained in playing guitar in his teenage and after he got acquainted with a flamenco guitarist, and soon made a shift from acoustic to classical guitar. He joined the ‘McGill University’ in 1951, where he was the president of the ‘McGill Debating Union’. The poems ‘Sparrows’ and ‘Thought of a Landsman’, which he composed during his university days made him the winner at the ‘Chester MacNaghten Literary Competition’. The year 1954, witnessed the publication of his first poems in the ‘CIV/n’ magazine. Cohen completed his bachelor’s degree in arts in the year 1955. He was inspired by literary stalwarts like Walt Whitman, William Butler Yeats, Henry Miller, Irving Layton, and Federico Garcia Lorca. After completing his undergraduate degree, Cohen spent a term in the McGill Faculty of Law and then a year (1956–57) at the Columbia University School of General Studies. Cohen described his graduate school experience as “passion without flesh, love without climax”. In 1960, Cohen lived in rural Hydra, Greece, in an apartment with intermittent electricity that he was renting for $14 a month. He lived there with Marianne Ihlen, with whom he was in a relationship for most of the 1960s. The song “So Long, Marianne” was written to and about her. Cohen was then romantically involved with artist Suzanne Elrod in 1970s and they were blessed with two children Adam and Lorca. However, the couple never married even though Cohen’s many songs and poems revolved around Suzanne. They separated in the year 1979. Cohen was in a relationship with French photographer Dominique Issermann in the 1980s. They worked together on several occasions: she shot his first two music videos for the songs “Dance Me to the End of Love” and “First We Take Manhattan” and her photographs were used for the covers of his 1993 book Stranger Music and his album More Best of Leonard Cohen and for the inside booklet of I’m Your Man (1988), which he also dedicated to her. In the 1990s, Cohen was romantically linked to actress Rebecca De Mornay. Leonard Cohen published his first poems in March 1954 in the magazine CIV/n. The issue also included poems by Cohen’s poet–professors (who were also on the editorial board), Irving Layton and Louis Dudek. His literary influences during this time included William Butler Yeats, Irving Layton (who taught political science at McGill and became both Cohen’s mentor and friend), Walt Whitman, Federico García Lorca, and Henry Miller. His first published book of poetry, Let Us Compare Mythologies (1956), was published by Dudek as the first book in the McGill Poetry Series the year after Cohen’s graduation. The book contained poems written largely when Cohen was between the ages of 15 and 20, and Cohen dedicated the book to his late father. The well-known Canadian literary critic Northrop Frye wrote a review of the book in which he gave Cohen “restrained praise”. Already established as a poet and novelist (his first book of poems, Let Us Compare Mythologies, was published in 1956), Cohen became interested in the Greenwich Village folk scene while living in New York City during the mid-1960s, and he began setting his poems to music. In 1957, Leonard Cohen went back to Montreal, Canada, where he engaged in some jobs and simultaneously, continued his literary works penning poems and fictional stories. In 1961, Cohen published his second book of poetry, ‘The Spice-Box of Earth’, which became an international success critically and commercially, and established Cohen as a major new literary figure. Meanwhile, he tried to join the family business and spent some time at Columbia University in New York, writing all the time. Between the modest royalties from sales of his second book, literary grants from the Canadian government, and a family legacy, he was able to live comfortably and travel around the world, partaking of much of what it had to offer including some use of LSD when it was still legal and ultimately settling for an extended period in Greece, on the isle of Hydra in the Aegean Sea. Cohen continued to write poetry and fiction throughout much of the 1960s and preferred to live in quasi-reclusive circumstances after he bought a house on Hydra, a Greek island in the Saronic Gulf. While living and writing on Hydra, Cohen published the poetry collection Flowers for Hitler (1964), and the novels The Favourite Game (1963) and Beautiful Losers (1966). His novel The Favourite Game was an autobiographical bildungsroman about a young man who discovers his identity through writing. Beautiful Losers received a good deal of attention from the Canadian press and stirred up controversy because of a number of sexually graphic passages. Regarding Beautiful Losers, the Boston Globe stated “James Joyce is not dead. He is living in Montreal under the name of Cohen.” In 1966 Cohen also published ‘Parasites of Heaven’, a book of poems. Both Beautiful Losers and Parasites of Heaven received mixed reviews and sold a few copies. Cohen then focussed less on writing and was more engaged in his musical pursuits. He went to the United States to embark on his career as a singer-songwriter. His song ‘Suzanne’ which was sung by American artist Judy Collins became a hit. During the 1960s, also sang in some folk festivals and his talent caught the attention of John H. Hammond. Hammond who worked for the ‘Columbia Records’ company signed Leonard for a contract with the company. In 1967 Judy Collins recorded two of his songs, “Suzanne” and “Dress Rehearsal Rag,” and that same year Cohen began performing in public, including an appearance at the Newport (Rhode Island) Folk Festival. 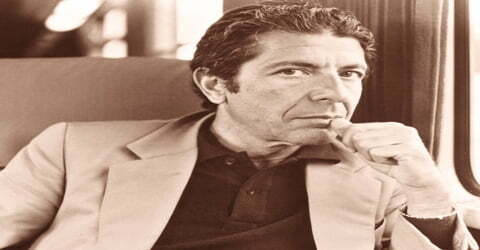 By the end of the year, he had recorded The Songs of Leonard Cohen, which included the melancholy “Hey, That’s No Way to Say Goodbye.” That album was followed by Songs from a Room (1969), featuring the now often-covered “Bird on a Wire,” and Songs of Love and Hate (1971), containing “Famous Blue Raincoat,” a ballad in the form of a letter from a cuckold to his wife’s lover. In 1967, his musical career got a kick-start when his album ‘Songs of Leonard Cohen’ was released. This album received acclamations and featured on the charts in the UK even after a year of its release. This was followed by his albums ‘Songs From a Room’ and ‘Songs of Love and Hate’. bIn the beginning of the 1970s, he embarked on two tours, one in the United States, Canada, and Europe and the second included Europe and Israel. During the same time, he published his book ‘The Energy of Slaves’. In 1978 Cohen published his first book of poetry in many years, Death of a Lady’s Man (not to be confused with the album he released the previous year with the similar title, Death of a Ladies’ Man). It was not until 1984 that Cohen published his next book of poems, Book of Mercy, which won him the Canadian Authors Association Literary Award for Poetry. The book contains 50 prose-poems, influenced by the Hebrew Bible and Zen writings. Cohen himself referred to the pieces as “prayers”. In 1993 Cohen published Stranger Music: Selected Poems and Songs, and in 2006, after 10 years of delays, additions, and rewritings, Book of Longing. The Book of Longing is dedicated to the poet Irving Layton. Also, during the late 1990s and 2000s, many of Cohen’s new poems and lyrics were first published on the fan website The Leonard Cohen Files, including the original version of the poem “A Thousand Kisses Deep” (which Cohen later adapted for a song). 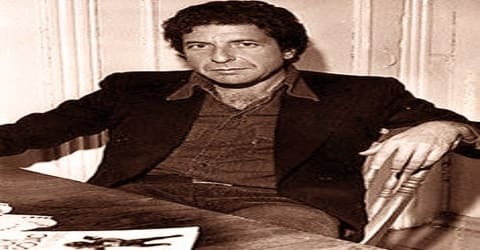 In 1974, Cohen and American music producer John Lissauer worked together on Leonard’s new album ‘New Skin for the Old Ceremony’ and even toured Europe, US and Canada to promote the record. 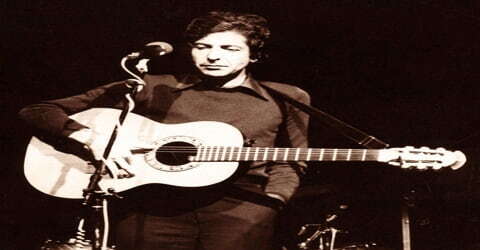 In 1975, he toured the US and Canada along with Lissauer to endorse his new album ‘The Best of Leonard Cohen’. The following year, he went on a tour to Europe to promote the same album. In 1977, his album ‘Death of a Ladies’ Man’ was produced and a year later, a book by the same name was printed. His album ‘Recent Songs’ was released in 1979, and with this album, he turned a producer. Though some did not care for Cohen’s baritone voice and deadpan delivery, he mostly enjoyed critical and commercial success. Leonard Cohen: Live Songs (1973) and New Skin for the Old Ceremony (1974), which included “Chelsea Hotel No. 2,” a frank recollection of a brief sexual encounter with Janis Joplin, further deepened Cohen’s standing as a songwriter of exceptional emotional power. His career then took a decided turn for the worse with the disappointing Death of a Ladies’ Man (1977), a collaboration with legendary producer Phil Spector, whose grandiose style was ill-suited to Cohen’s understated songs. Cohen’s album ‘Recent Songs’ was released in 1979, and with this album, he turned a producer. His collection of poems ‘Book of Mercy’ hit the bookstores in 1984, and this book was immensely successful, and the poet was highly appreciated. The same year, his album ‘Various Positions’ was released, which was followed by the release of his eighth studio album ‘I’m Your Man’. For most of the 1980s Cohen was out of favor, but his 1988 album, I’m Your Man, including the club hits “First We Take Manhattan” and “Everybody Knows” and introduced his songwriting to a new generation. In addition, Various Positions (1984) included what became Cohen’s best-known song, “Hallelujah.” Although it did not initially receive much attention, the single gained widespread popularity when covered by Jeff Buckley in 1994. The ballad was later performed or recorded by hundreds of artists and featured in soundtracks of TV shows and films. Cohen’s only published work in the 1990s was ‘Stranger Music: Selected Poems and Songs’, and the next decade saw the release of his books ‘Book of Longing’, ‘The Lyrics of Leonard Cohen’, ‘Poems and Songs’. He also recorded an album during this period entitled ‘The Future’. After releasing The Future (1992), Cohen retired to a Buddhist monastery outside Los Angeles. He emerged in 1999 and returned to the studio, producing Ten New Songs (2001) and Dear Heather (2004). The critically acclaimed documentary Leonard Cohen: I’m Your Man (2005) blended interview and archival footage with performances of Cohen’s songs by a variety of musicians. From 2001-04, he released two albums named ‘Ten New Songs’ and ‘Dear Heather’. His literary work in 2012 comprised of a collection of poems named ‘Fifteen Poems’, and he also recorded an album ‘Old Ideas’ the same year. It was a tremendous success, debuting inside the Top Five in the U.S. and U.K., as well as reaching number one in Canada. Cohen’s success in Europe was more impressive; Old Ideas reached number one in almost ten countries. 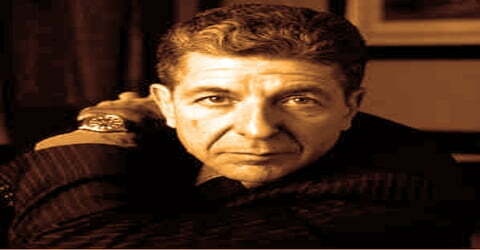 Before embarking on his 2008–2010 world tour, and without finishing the new album which had been in work since 2006, Cohen contributed a few tracks to other artists’ albums a new version of his own “Tower of Song” was performed by him, Anjani Thomas and U2 in the 2006 tribute film Leonard Cohen I’m Your Man (the video and track were included on the film’s soundtrack and released as the B-side of U2’s single “Window in the Skies”, reaching No 1 in the Canadian Singles Chart). In 2007 he recited “The Sound of Silence” on album Tribute to Paul Simon: Take Me to the Mardi Gras and “The Jungle Line” by Joni Mitchell, accompanied by Herbie Hancock on piano, on Hancock’s Grammy-winning album River: The Joni Letters, while in 2008, he recited the poem “Since You’ve Asked” on the album Born to the Breed: A Tribute to Judy Collins. In 2014, Cohen worked on another album ‘Popular Problems’ which went on to win the Album of the Year award at the ‘Juno Awards’ the following year. He turned 80 in 2014 but showed no signs of slowing down. Yet another concert document, Can’t Forget: A Souvenir of the Grand Tour, appeared in May 2015, with the album drawn from live takes as well as pre-show rehearsals at soundchecks. Cohen went right back to work on new material although he was in declining health. On September 21, 2016, his 82nd birthday, “You Want It Darker,” the eerie, mortality-themed title track of a new studio album, appeared on the Internet. The full-length, produced by his son Adam, was issued on October 21. Cohen was suffering from health problems during this time and intuitively knew that the end was near. This album focused on issues like death, God, and humor, and was released in October 2016 when Leonard Cohen was dying. In 1991, this talented artist was inducted into the ‘Canadian Music Hall of Fame’. Cohen won the ‘Juno Award’ for Best Male Vocalist in 1993. The same year, he was awarded the ‘Governor General’s Performing Arts Award’ for Lifetime Artistic Achievement. In 1994, the ‘Juno Award’ for Songwriter of the Year was won by him. Cohen was felicitated by the ‘Order of Canada’ in the year 2003. This songwriter was included in the ‘Canadian Songwriters Hall of Fame’ in 2006. The following year, Cohen won the ‘Grammy Award’ for Album of the Year. In 2008 Cohen was inducted into the Rock and Roll Hall of Fame, and in 2010 he was honored with a Grammy for lifetime achievement. 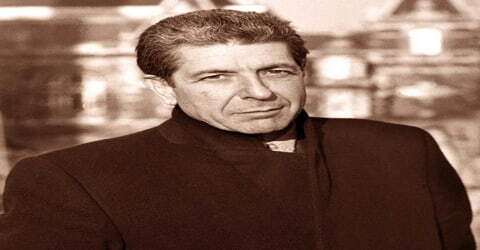 In 2011, Leonard Cohen received one of the Prince of Asturias Awards for literature and the ninth Glenn Gould Prize. The following year, Cohen was awarded the Inaugural ‘PEN Award for Song Lyrics of Literary Excellence’ and the ‘Prix Denise-Pelletier’. In 2013, Cohen was awarded the Artist of the Year at the ‘Juno Award’. He was awarded honorary degrees from ‘Dalhousie University’ and ‘McGill University’. Leonard Cohen remained active till the very end of his life even though his body was ravaged by various ailments including cancer. He died on November 7, 2016, at the age of 82 at his home in Los Angeles. According to his manager, Cohen’s death was the result of a fall at his home on the night of November 7, and he subsequently died in his sleep. His death was announced on November 10, the same day as his funeral, which was held in Montreal. As was his wish, Cohen was laid to rest with a Jewish rite, in a simple pine casket, in a family plot. Tributes were paid by numerous stars and political figures. Citizens and officials in Montreal, where he spent his early life, are considering honoring him by naming a street and other locations, including a library, after him. His song ‘Hallelujah’ is considered to be one of the biggest hits of his career. This song has been sung by around 200 artists in different languages and statistics by renowned organizations estimate that the record has sold five million copies till 2008. It has also been covered by the ‘BBC Radio Documentary, and several movies and television shows have used this song. An interactive exhibit dedicated to the life and career of Leonard Cohen opened on November 9, 2017, at Montreal’s contemporary art museum (MAC) entitled “Leonard Cohen: Une Brèche en Toute Chose / A Crack in Everything” and ran until April 9, 2018. The exhibit had been in the works for several years prior to Cohen’s death, as part of the official program of Montreal’s 375th-anniversary celebrations and broke the museum’s attendance record in its five-month run. The exhibit will embark on an international tour in 2019, opening in New York City at the Jewish Museum in April.